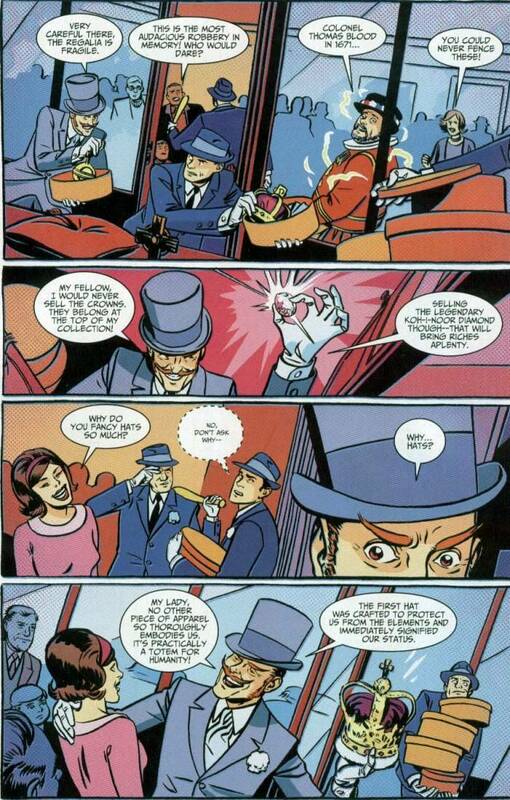 Villains Being Awesome - The Mad Hatter takes a question from the audience..
From Batman 66 #4, the Mad Hatter may be a loon, but he's an ERUDITE loon! Look, it can't ALL be Lewis Carroll references. 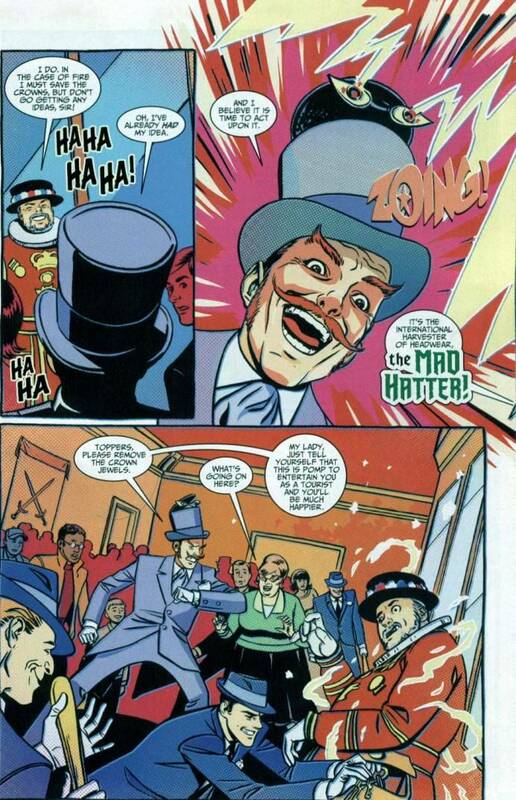 In the series the Hatter used the name without the Alice in Wonderland theme, he was genuinely obsessed with hats themselves. "But why?" you ask? 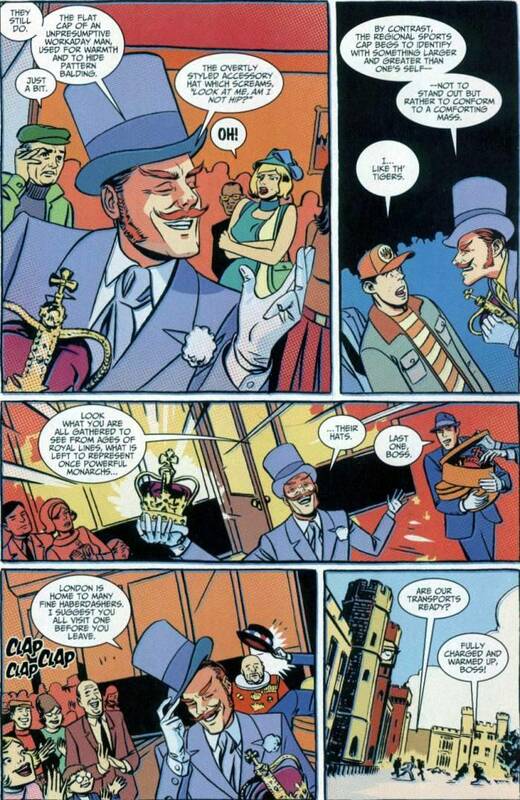 Well, Batman 66 #4 addresses that question, when the Hatter visits London (None of that weird "Londinium" thing the show used in it's 3rd season) to steal the Crown Jewels from the Tower of London. All that AND promoting business amongst tourists too! You have to admire a villain who seeks to boost the economy of the country he's visiting. 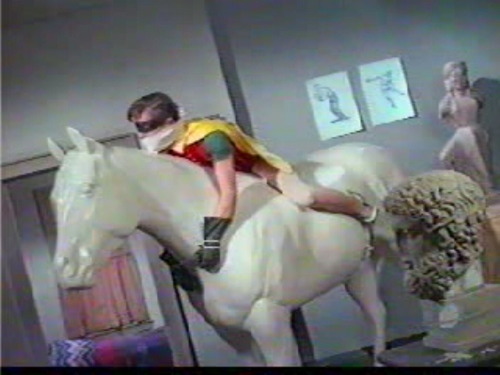 For those interested in such things, the Mad Hatter in the 1966 Batman TV show was played by versatile stage and screen character actor David Wayne. Noted for creating the role of Og in "Finians Rainbow" (Where he sings the charming, and wordplay filled When I'm Not Near the Girl I Love" and played the villain in the TV version of It's a Bird, It's a Plane, It's Superman, as well as being Ellery Queen's dad in the wonderful "Ellery Queen Whodinnits" in... oh ye gods it was 1975. Damn I feel old again. As you might notice from the video clip, his Mad Hatter had one of the most gloriously exagerrated accents you can imagine. And he'll always have a special place in my warped little heart for being the only villain in the entire series to properly gag Robin. 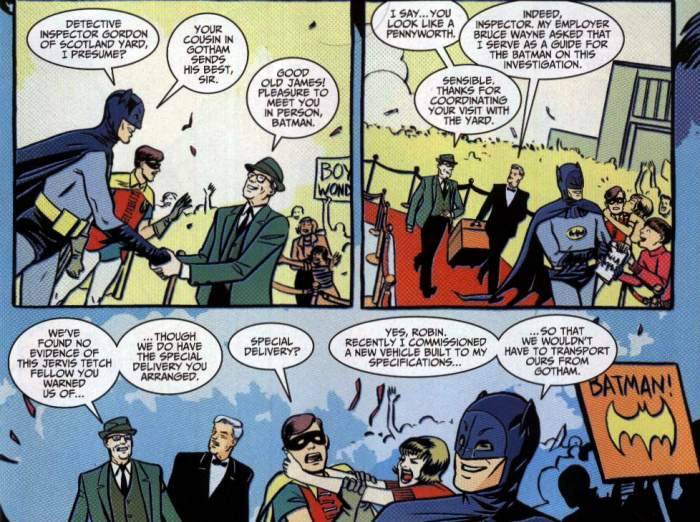 And speaking of the Boy Wonder, he has a nice couple of moments in this issue too. As he discovers that the Beatlemania level of attention on arrival at Heathrow Airport can get a little... dangerous. 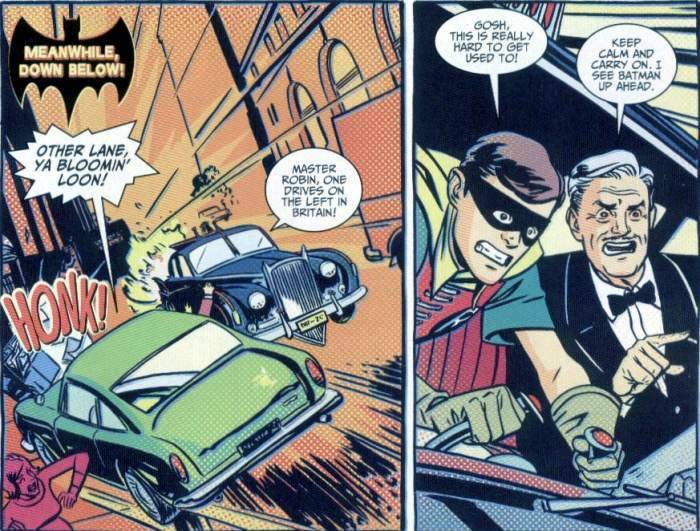 And then has to drive the British Batmobile, with help from Alfred.... it doesn't start well!